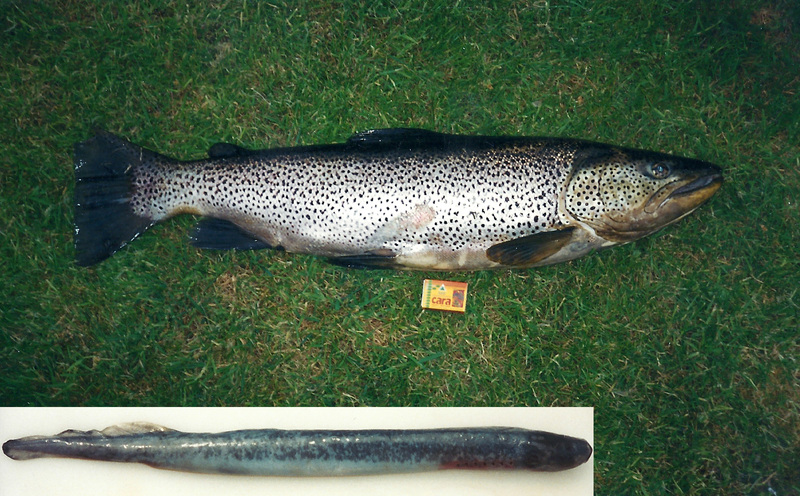 This 10 LBs trout was caught in Lough Derg and had this sea lamprey attached. This is an old photo I took in 1996 that I scanned in recently. Anadromous sea lampreys are generally confined to the Lower River Shannon below the Shannon hydroelectric scheme. However there are regular reports of lamprey scarring on trout and pike in Lough Derg. Sea lampreys are a protected species in Ireland and anglers should return any specimens captured; although we would be interested in hearing about any observations. If you have any information on landlocked lampreys in Ireland we would be very interested in hearing about same. Contact us at +353 61 419477 or here.